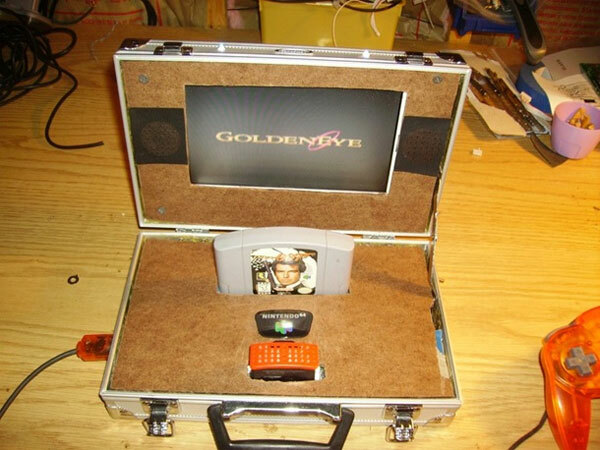 This Nintendo N64 DIY case mod takes portable gaming to the extreme. After collecting the required parts over a few weeks these DIY modders built the setup in the day. It’s still a little rough around the edges but you can see the concept idea. The N64 is built into a PSP carry case briefcase and all parts were bought for a few dollars. The case has two player controller ports on the side and blue LEDs on the front to indicate the power. Check out a full view from the makers here..